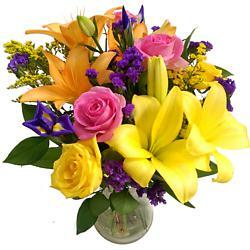 Beautiful Lilies with their light scent of musk and longer vase life for you to enjoy. 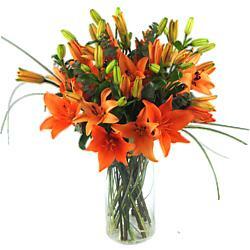 Our lovely Lilies can be enjoyed in the home or in the office and will give every room an alluring light scent of musk. We have many different colours to choose from, from the traditional White and Orange Lilies to the exotic Black Magic Calla and Mango Calla Lilies too. We send our Dutch lilies so they will arrive "in bud" thereby providing a longer vase life for you to enjoy their beauty and scent. 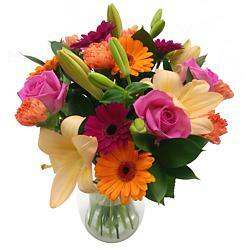 As with all of our Clare Florist bouquets and arrangements, they are professionally designed and hand-tied in house by our expert florists. Why not add some scrumptious Lily O'Brien's Chocolates and choose a handwritten card, a chic glass vase or a cuddly teddy bear to enhance your order of lilies - making it even more special. 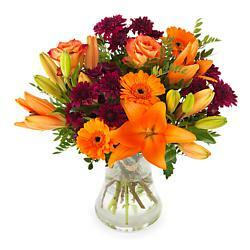 Our lilies and lily bouquets are available for next day Flower Delivery throughout the UK - 6 days a week.